The field of MEMS, Micro-Electro-Mechanical Systems, is the branch of microelectronic engineering dedicated to building microscopic machines on computer chips. The field emerged with the refinement of chip fabrication methods. Over the past twenty years, it has evolved from an academic novelty into a useful industrial enterprise. MEMS accelerometers trigger automobile airbags, MEMS micromirror arrays display HDTV images, MEMS sensors measure blood pressure through IV lines, and MEMS fluid pumps produce pictures in ink jet printers. MEMS technology has revoluntionized microfabrication, and the sensors and actuators industries. 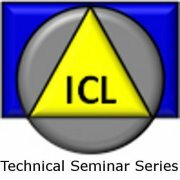 This seminar will review the history of MEMS, discuss its potential , present the state of the art of MEMS applications, and highlight major trends of development for the MEMS field in the future.